South African attorneys Shepstone & Wylie have alerted North P&I Club that restrictions imposed on the supply of fresh water to vessels calling at Cape Town, North Club mentions in an announcement. Cape Town recently experienced drought that affected the region. As a result, the port authority introduced a ban on all use of municipal drinking-quality water for outside and non-essential purposes. Thus, provision of potable water to all calling vessels has been suspended, except from extreme cases, North Club notes. 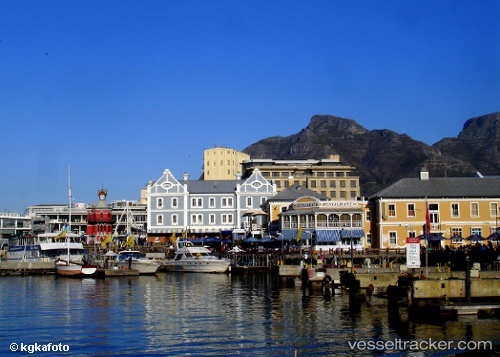 According to the port of Cape Town, the vessels calling there, are requested to bunker potable water at other ports not affected by the drought. However, Cape Town isn’t the only port affected by the drought. As local media report, Mossel Bay, Ngqura and Port of Elizabeth also face water restrictions. Three fishermen were rescued by a Robben Island ferry on Sunday afternoon when their fishing ski-boat capsized near the iconic island, the National Sea Rescue Institute (NSRI) said. On Monday, Pat van Eyssen, the NSRI's Table Bay duty coxswain, said it appeared that, while the men were fishing at the entrance of Murry’s Place Harbour, their boat had filled with water, listed and then capsized. A Robben Island ferry, believed to be the PRINCESS SKY, was in the vicinity and was used to rescue the trio and take them back to the harbour at Robben Island. It was also used to tow their boat into that harbour. On Monday, NSRI spokesperson Craig Lambinon said there were possibly tourists on the ferry at the time, but he was not sure. He said the ferry would not have had to deviate from its course to help the struggling fishermen, as their vessel had capsized along its route.